Iraq's water crisis threatens to incite civil strife and destabilize its government. The conflict-ravaged state relies on the Tigris and Euphrates Rivers to generate energy and irrigate farmlands. 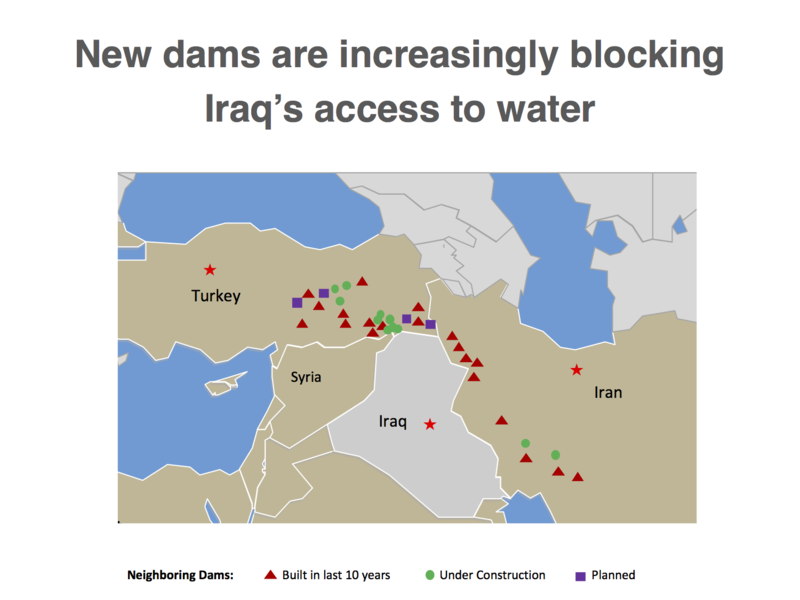 New dam construction by neighboring Iran and Turkey has further limited water supply downstream to Iraq. Iraq’s irrigation infrastructure has decayed. Farmers are protesting. Harvests continue to dwindle. Graft, cronyism, and political jockeying have paralyzed Baghdad's response. If you care about water scarcity inciting more problems in the Middle East and Afghanistan, then explore this proposal. 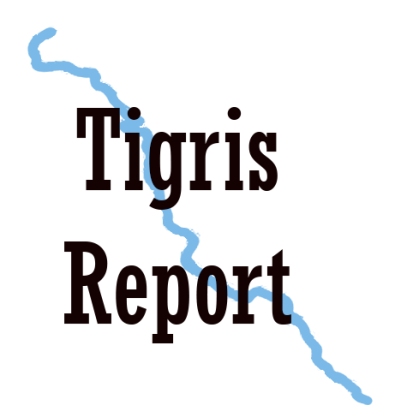 Authors from TIGRIS REPORT have published this proposal. As these organizations do not take institutional positions, this proposal reflects the views of the individual authors. 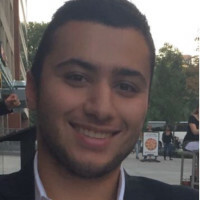 Sevan Araz’s research investigates the sectarian dimension of municipal governance in Lebanon and water scarcity in the Middle East. He previously conducted research at the Department of Defense, Department of Commerce, and MENA Consultants. Sevan is fluent in Armenian and Turkish, with a strong command of Arabic. Mr. Araz received his B.A. in International Affairs from the George Washington University. 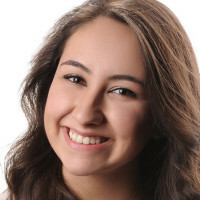 Deniz Yuksel is an intern at the Washington Institute for Near East Policy. Her research focuses on Turkish foreign policy in the Middle East. Previously, she conducted research at the Foundation for Defense of Democracies, the Middle East Institute, and the Turkish Industry and Business Association (TUSIAD). She is a senior at Georgetown University, studying Middle Eastern Studies. Deniz speaks English, Turkish, Arabic, and Persian. Reducing Iraq’s water gap is essential for relieving public frustration and maintaining political stability. In 2015, Iraq's water demand grew to 66.8 billion cubic meters, resulting in a 20 billion cubic meter water deficit. By 2035, demand is expected to reach 71 billion cubic meters. Iran and Turkey, neighboring countries upstream, have manipulated the course of rivers, restricting access Iraq's access. Drying river beds have disrupted Iraq’s agricultural sector. Iraq's shrinking water supply has triggered demonstrations across her southern provinces. Decaying irrigation infrastructure litters the countryside. Iraqi authorities have struggled to respond to the escalating water crisis. Tackling Iraq’s water crisis requires a comprehensive strategy to preserve domestic water supplies, secure access to international waterways, rehabilitate crumbling irrigation facilities, and bolster agricultural production. In June 2018, Turkey began filling the long-awaited Ilisu Dam, a centerpiece of her ambitious Southeastern Anatolian Project. 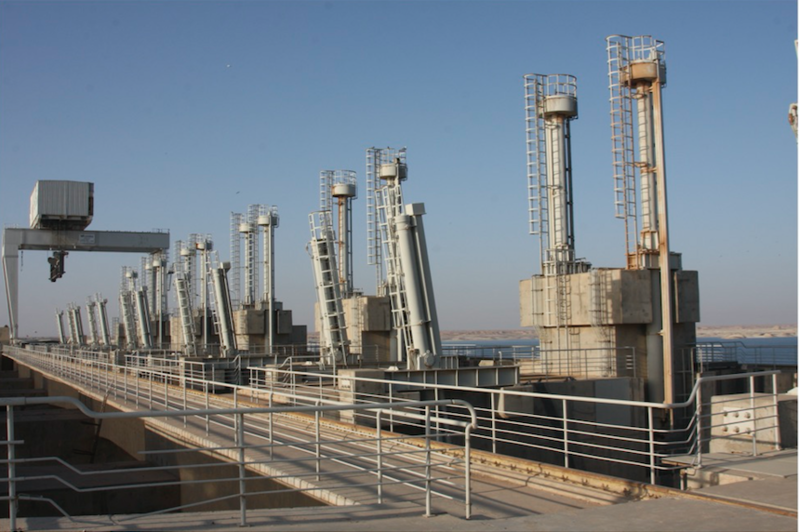 Constructed on the banks of the Tigris, the dam will exacerbate Iraq’s water shortage. The dam will further restrict the flow of water down to Syria and Iraq. The dam's reservoir has a maximum capacity of 10.4 billion cubic meters; its power station will have a capacity of 1,200 megawatts. Along the northern part of the Iran-Iraq border, Tehran has constructed multiple dams, which limit water flow into the Sulaymaniyah province of Iraqi Kurdistan. The Sardasht Dam, built along the banks of the Little Zab River, has restricted the flow of water into the region and sparked a water crisis in Qaladaze. As a result, the town’s fishing industry has collapsed. The Sirwan River, the artery filling the Darbandikhan Lake, the Garmiyan region's primary water source, has been obstructed by the Garan and Daryan Dams, inaugurated in 2013 and 2018, respectively. Tehran also diverted the trajectory of the Alwand River so it no longer crosses the Iraqi border, devastating the residents of Khanaqin. In the last decade, Tehran has lined the Karun River and its tributaries with multiple dams, limiting the release of water into Iraq. 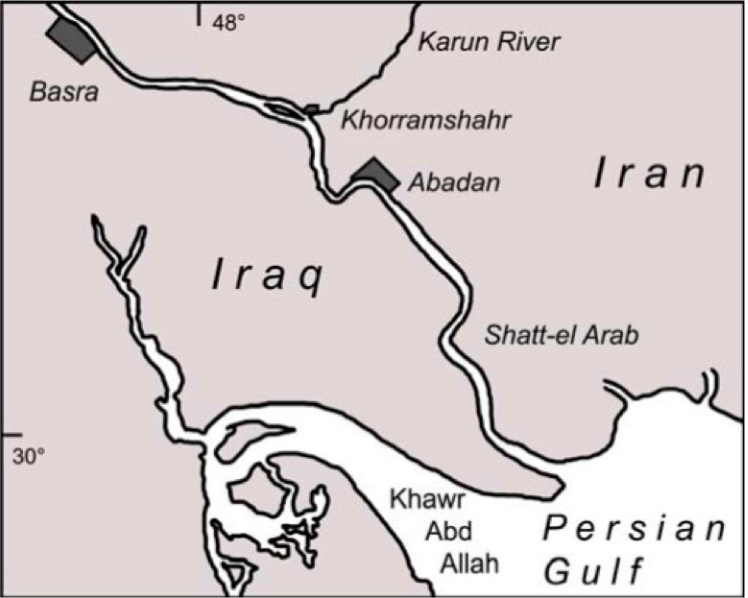 In 2018, Iran also altered the course of the Karun, preventing the river from flowing into Iraq. The water dispensed by the Karun limits the salinity of the Shatt al-Arab by restricting tidal flows from the Persian Gulf. As a result, salinity levels have risen, devastating the region’s agricultural sector and dislodging thousands of residents from Iraq’s marshlands. Elevated saline levels, coupled with pollution, also contaminated Basra’s water supply, resulting in 20,000 residents being hospitalized. Conflict and graft have left Iraq’s irrigation infrastructure in tatters. Dams are not operating at maximum capacity and require immediate repairs, such as the Darbandikhan Dam. Baghdad has failed to invest in water treatment plants. Iraqi agriculture’s outdated irrigation techniques fail to exploit limited water resources. The water shortage has prompted citizens to tap into local aquifers, threatening the country’s long-term water security. The Ministry of Water Resources estimates the recent conflict with ISIS inflicted $600 million of damage on hydraulic infrastructure. Mounting security expenditures resulted in a steep reduction of the ministry’s budget, from $1.7 billion in 2013 to $50 million in 2017. In early 2018, the Ministry of Water Resources proposed a 20-year project to upgrade Iraq's irrigation systems, at a cost of $184 billion. However, rising debt and budget limitations will prevent Baghdad from funding the project. In July 2018, the Ministry of Agriculture banned the cultivation of various water-intensive cereals, including rice and corn. 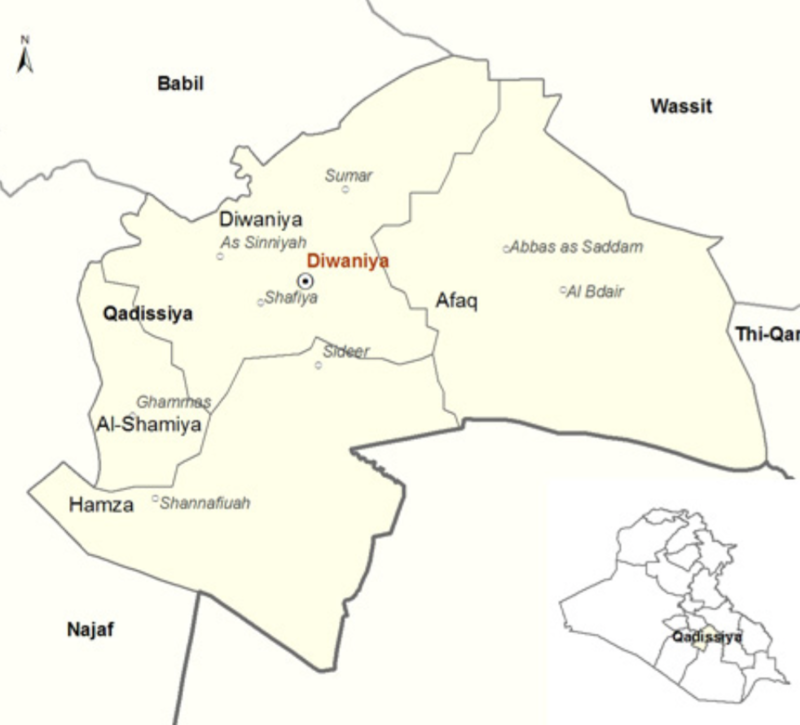 The ban triggered demonstrations across Diwaynah, an agricultural hub. The government responded by partially lifting the ban on rice farming. However, rice cultivation is exclusively restricted to the province of Najaf and Qadisiyyah's Diwaynah district. In addition, the government allocated only 1,236 acres of irrigated land to sowing rice, less than 3% of the area allotted in 2017. Iraq’s farmers also suffer from a water deficit of 8 billion cubic meters. The agricultural sector employs 19% of Iraqis. Farah Province, Afghanistan: Iran extended support to the Taliban to prevent the construction of dams in western Afghanistan. Tehran is opposed to the erection of the Bakhshabad Dam in Farah Province. The hydroelectric plant would restrict the flow of the Farah River into Iran’s Sistan and Baluchestan Province, an insurgent hotbed. Khuzestan Province, Iran: Ahvaz, the capital of Iran’s oil-rich Khuzestan Province, is plagued by severe water shortages. Crippling water scarcity has resulted in rising poverty and a decline in agricultural productivity. In July 2018, disgruntled citizens staged demonstrations demanding a solution to the region’s water shortages. The province’s Ahvaz Arabs decry an alleged government sponsored scheme to appropriate the water resources of minority regions. Iranian authorities have redirected local rivers to flow into other provinces. Ahvaz was the attack site on a military parade in August 2018, resulting in 29 fatalities. Several Arab separatist organizations and ISIS claimed responsibility for the shooting. High unemployment and perceived discrimination may induce locals to sympathize with secessionists and extremist groups. Kurdistan Province, Iran: A resurgence of Kurdish militant activity has swept northwestern Iran. This summer, water shortages sparked small-scale demonstrations in Iran’s Kurdish provinces. Locals accuse Tehran of siphoning off the region’s water resources to supply water to the Iranian interior. Mounting grievances may broaden the appeal of secessionist organizations, such as the Democratic Party of Iranian Kurdistan, and expand the recruitment capacity of Kurdish insurgents. This paper provides data on both Iraq’s surface and groundwater resources. The authors investigate shifting cultivation patterns within the country’s agricultural sector. The report also examines population growth rates and calculates water supply in order to determine Iraq’s future water consumption. This 17-page essay delves into the historical relations among the three riparian states of the Tigris and Euphrates. The authors also explore the geopolitical tensions generated by the ambitious Southeastern Anatolian project and discusses various water-sharing agreements signed between Turkey, Syria, and Iraq. Article discusses the contraction of Iraq’s marshlands and rising salinity in the wetlands. The author also provides information on the challenges facing the local agricultural sector and the exodus of the area’s population. The article also discusses the impact of receding water levels on local energy production. Article proposes the creation of a river commission to manage the water resources of the Tigris and Euphrates. The author explores the success enjoyed by the Permanent Indus Commission, whose member states consist of India and Pakistan, in managing water disputes and monitoring the construction of irrigation facilities. Article discusses Pakistan’s opposition to the construction of the Shahtoot Dam in Afghanistan. Author proposes an Afghanistan-Pakistan Water Treaty to jointly manage water resources and ease bilateral tensions. National Geographic travels to the ancient town of Hasankeyf to report on Turkey’s water strategy and its geopolitical ramifications. What’s Driving Israeli Claims to the Golan Heights? Israel aims to secure international recognition of its sovereignty over the Golan Heights to maintain control of the region’s water resources, which provide one-third of Israel’s water supply. The author also exposes Israel’s water policies in the West Bank. Explore the factors encouraging separatism in Iran’s oil-rich Khuzestan province. This article chronicles the contamination of Basra’s water supply and the mounting health crisis engulfing the port city. The author reports how rising salinity levels and pollution sullied the Shatt al-Arab. The article reveals the limited capacity of healthcare institutions to provide medical services to Basra’s citizens. This piece investigates Iran’s manipulation of waterways along the northern portions of the Iran-Iraq border, which has exacerbated Iraqi Kurdistan’s water woes. A proliferation of dams and the diversion of the Alwand River has drastically reduced the region’s water supply and wreaked havoc on the local agricultural sector. This article covers the demonstrations triggered by the Iraqi Ministry of Agriculture’s ban on the cultivation of water-intensive crops. Diminishing water resources influenced Baghdad’s decision to ban the planting of eight crops, including rice. The author discusses the effects of the ban on the agricultural communities. This article explores the geopolitical risks engendered by water scarcity. Authors discuss the impact of Turkey’s Southeastern Anatolian Project on Iraq's dwindling water resources. The piece also warns that the Ilisu Dam, straddling the Tigris, will damage Iraq’s marshlands and trigger an exodus of the the area’s population. A 10-page report that addresses the geopolitics of Iraq’s water woes and suggests recommendations on improving Iraq’s outdated irrigation infrastructure. The author discusses rising salinity and its impact on Iraq’s agricultural sector. The brief also encourages greater water policy coordination between Baghdad and Erbil. This article discusses plans to revive Iraq’s ailing date industry, which previously produced three-quarters of the world’s dates. The project aims to plant 70,000 date palms. The Iraqi market has been flooded by dates from Iran, which provides farmers with a superior water supply. Rudaw, a media outlet affiliated with the Kurdish Democratic Party, raised alarm at the water crisis enveloping the town of Qaladze. Iran has constructed a dam on the Little Zab River, restricting the flow of water into the area. Declining water levels resulted in the collapse of the local fishing industry. Photojournalist Emilienne Malfatto familiarizes readers with the community eking out a living in the wetlands of Iraq, the Marsh Arabs. The article's author discusses the threats posed by rising temperatures and reduced water flows on the marshlands, while delving into Saddam Hussein’s infamous campaign to drain the marshes. Discusses Iraq’s use of nuclear technology to create drought-resistant crops. Iraqi scientists, in cooperation with the IAEA, developed strands of wheat and barley that tolerate drought and soil salinity. These new crop varieties are also more resistant to dust storms, a growing threat to the region’s farmlands. 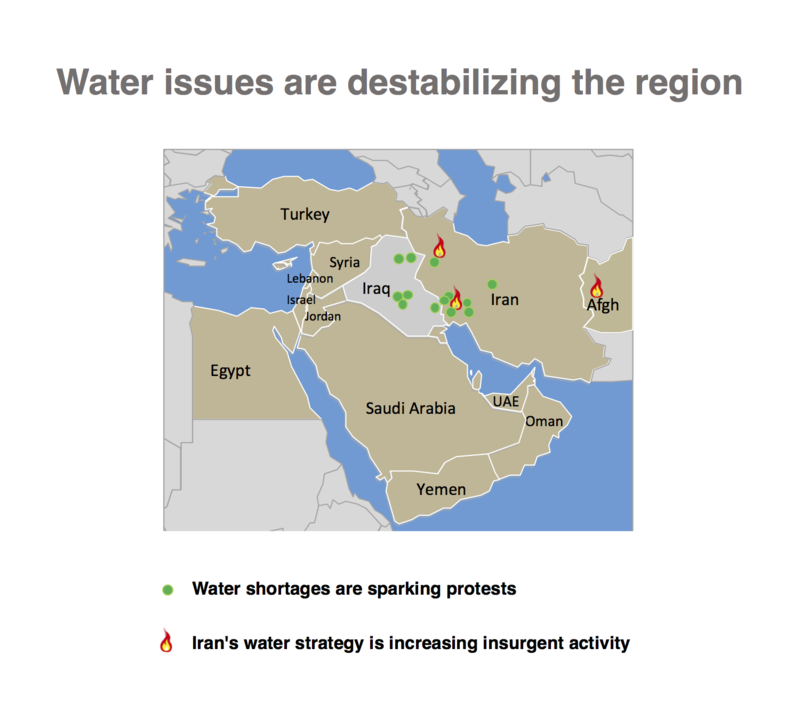 Tigris Report investigates environmental matters across the Middle East and South Asia, with a focus on water scarcity. The organization explores the geopolitics of resource disputes and identifies solutions to environmental issues. collect data, monitor irrigation installations, and organize site inspections. grant states the authority to select site visits, thus expanding the monitoring capacity of members. The Ministry of Agriculture estimates that constructing sprinkler irrigation systems would require 4 to 6 years. However, the wide-scale use of sprinkler irrigation techniques could potentially conserve 3.6 billion cubic meters of water annually. Investing in improving the country’s dilapidated drainage infrastructure would combat soil salinity and reduce environmental degradation. Exploiting aquifers threatens Iraq's long-term water security. Water shortages compelled citizens to tap into aquifers to water crops and obtain drinking water. As a result, groundwater levels plunged to record lows. In addition, rainfall is insufficient for refilling aquifers. Several dams require repairs and are unable to store sufficient quantities of water for irrigation. The Ministry of Water Resources should engage investors to generate financing in order to renovate the country’s dams. On July 25, 2018, Iraq announced plans to cooperate with Iran to construct a new dam on the Shatt al-Arab. The dam will bar salt bearing tidal flows from penetrating Iraq’s waterways, thus reducing the salinity of the Shatt al-Arab. Iraqi authorities should also dismantle ineffective irrigation systems to prevent water from evaporating. Building wastewater treatment centers would bolster the agricultural sector's dwindling water supply. The Ministry of Agriculture should launch a program to encourage farmers to cultivate drought-tolerant crops. Farmers in Iraq’s rice-belt suffered from the government’s restrictions on farming maize and rice. Therefore, Iraqi authorities should establish educational workshops to train farmers in planting drought-tolerant crops such as, sorghum and millets. Cultivating drought-tolerant crops would preserve limited water resources and reduce the water deficit afflicting the agricultural sector. Baghdad should increase funds for its Agricultural Research Directorate to develop drought-tolerant crops. The Agricultural Research Directorate previously used nuclear technology to produce a drought-tolerant wheat variety. Agricultural reforms and modernizing irrigation infrastructure would rescue Iraq’s troubled agricultural sector. Repairs to the country’s drainage infrastructure would support soil reclamation efforts, especially in the marshlands, thus facilitating the cultivation of large tracts of land. The construction of a dam on the Shatt al-Arab will also reduce soil salinity across southern Iraq. As a result, the agricultural sector will register higher crop yields. Lower levels of salinity would allow for the revival of the date palm industry, which fell victim to conflict and heightened water salinity, resulting in the destruction of 80% of Iraq’s approximately 18 million date palms. Introducing drip and sprinkler irrigation systems would expand the permitted area for rice cultivation to Babil and Muthana. As a result, the rice yield would double, facilitating the cultivation of 200,000 tons of rice, a boon to the local economy. Advanced irrigation systems and augmented water supplies could also eliminate the 8 billion cubic meter water deficit plaguing the agricultural sector. Water-sharing agreements would increase Iraq’s water supply and lower levels of salinity in the country’s waterways. Cutting a deal with Iran would allow excess water to flow into the Shatt al-Arab from the damned Karun River, thus reducing salinity in the region’s water supply and preserving Iraq’s treasured marshlands. A steady water supply in the short-term would preserve the 3,500 square miles of marshes that stretch across southern Iraq and prevent the marshes from contracting, in 2010 the marshes shrank to 1,150 square miles, or disappearing altogether. Repaired irrigation infrastructure could also lower salinity levels in Iraq’s marshes from 1,900 to parts per million to below 1,000 parts per million. An excess release of water into the Tigris would also rescue 124,000 acres of agricultural land from degradation. Renovating irrigation infrastructure would also expand Iraq’s water supply. For instance, eliminating inefficient flood control systems would conserve 7.6 billion liters of water annually. A revival of Iraq’s agricultural sector and an expansion of the domestic water supply would contain mounting social unrest and mitigate political tensions. The water crisis sweeping Iraq inflicted severe damage on the domestic agricultural sector and triggered an exodus of the rural population to urban centers. A revival of Iraq’s orchards and farms would reverse the trend of rural-urban migration that left Iraq’s countryside barren, exacerbating soil salinity. The return of villagers would relieve cities of the acute burden of supporting a growing population. Remedying the country’s water deficit and constructing wastewater treatment facilities would also expand Iraq’s drinking water supply, a central demand of Basra’s revolting residents. A water-sharing arrangement with Iran would also facilitate the flow of water into the reservoirs of Iraqi Kurdistan. As a result, the Kurdish Regional Government would be able to discharge higher levels of water into Iraq’s waterways, easing strained ties between Erbil and Baghdad. 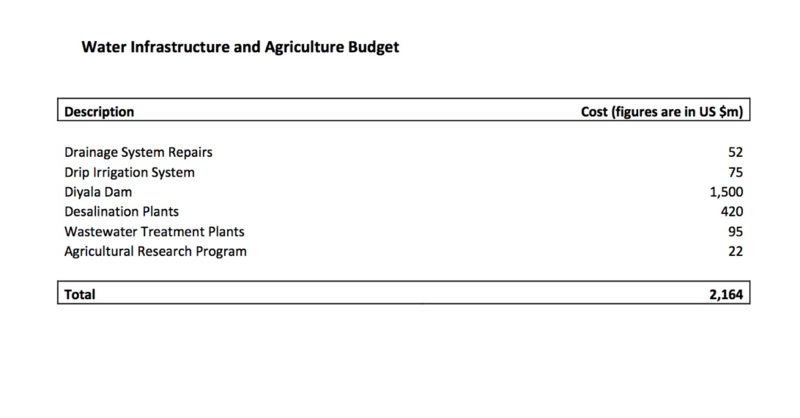 The following budget proposes a set of short-term measures to address water shortages and assist Iraq’s agricultural sector. I found your report/proposal to be very timely and insightful Deniz and Sevan! What are the reasons for the rapid expansion of Turkey’s dam network in the southeast? Thank you for your interest, Eran. The Turkish government is expanding its dam networks to bolster the country's electricity supply. Dams also provide excess water resources to irrigate farmland in Turkey's arid southeastern region, thus boosting local agricultural production. Interestingly, the proliferation of dams also enhances the capacity of Turkish authorities to monitor insurgent activities in rural areas.